Start off your visit on the 17th (Sat): identify plant and animal life at Three Lakes Wildlife Management Area and then identify plant and animal life at Oakland Nature Preserve. 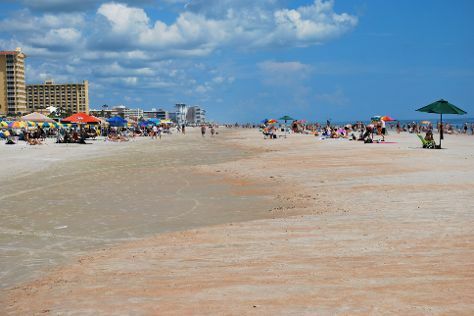 On the next day, visit a coastal fixture at Ponce de Leon Inlet Lighthouse & Museum, identify plant and animal life at Ponce Preserve, then enjoy the sand and surf at Beach at Daytona Beach, and finally contemplate the long history of Stetson Mansion. To find more things to do, traveler tips, reviews, and tourist information, refer to the Orlando online trip itinerary planner . Maitland to Orlando is an approximately half hour car ride. November in Orlando sees daily highs of 78°F and lows of 62°F at night. You'll set off for home on the 19th (Mon).